Original paisley art created on computer then etched onto sterling silver sheet and fabricated into ring. 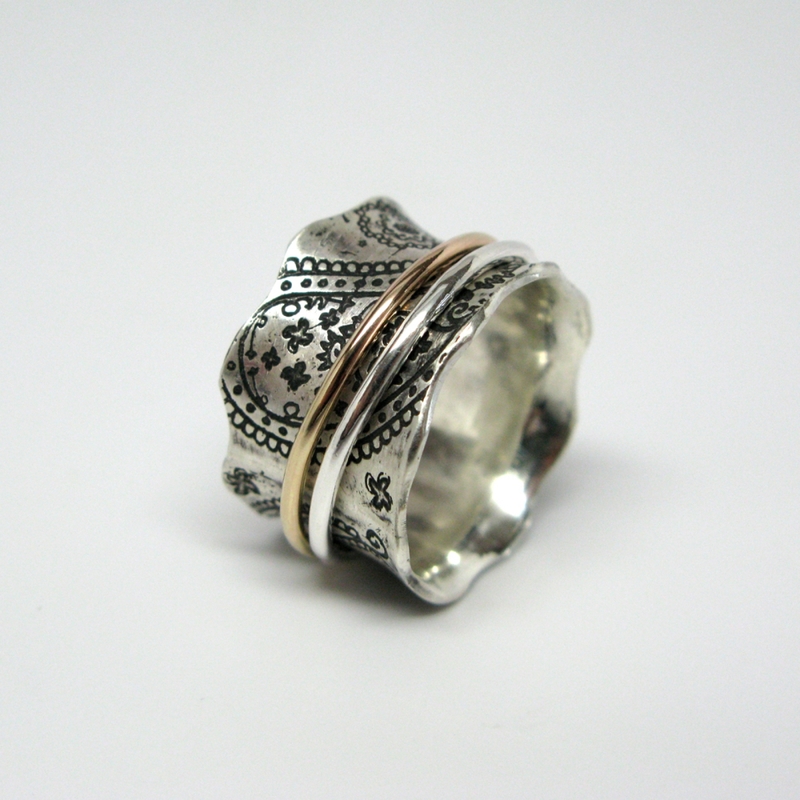 Patina finish adds contrast to the sterling silver and 10k gold spinner rings which float freely around the ring. Approx. 1/2" width to 5/8" for larger sizes as the art is scaled up or down. Made with re-claimed precious metal. Indicate size (whole and half sizes only) when ordering and allow 1 to 2 weeks for fabrication. Note: These rings fit best about a half size larger than what you normally wear for thinner bands. Thanks!